When we opened the new location at the old town hall, we had a vision of serving beer in real glassware. We hate the number of disposable cups we go through. We’ve had a dishwasher from the very beginning, but it is (apparently) a long road to be able to use it. The location we are in used to be the town hall, amongst other uses. After the city moved to the new location the building began deteriorating. The physical records of the building were stored inside and, like most everything else, were destroyed by leaks in the roof. This includes all architectural and septic information. When we acquired the building in February of 2015, we began bringing the building up to code. This meant remediation of mold, building completely new ADA-compliant bathrooms, installing floor drains, updating power and plumbing, ADA paved parking spot and of course building out the brewery (bar, smoke stacks, coolers, wash sink, etc.). 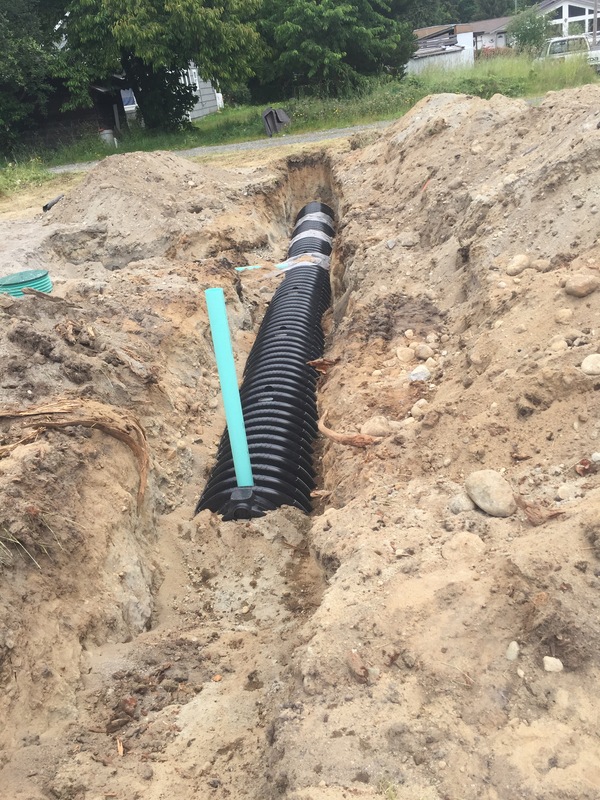 When we applied for our permit, the county informed us that they had no record of a septic system at our location. 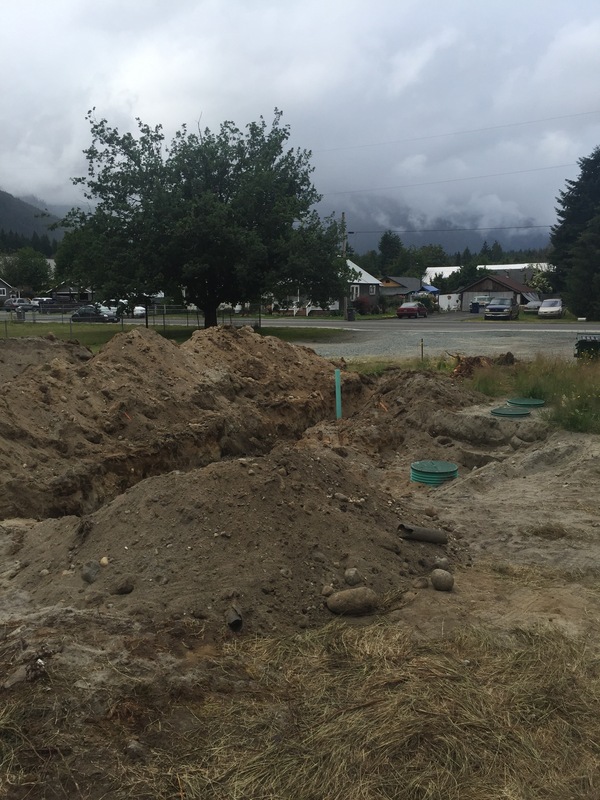 With no records, we had no choice but to dig up, document, then get a permit to rebuild (add a new drain field and additional tank). With the septic signed off by the county, Neil was informed that we still had several tasks inside the brewery to accomplish. 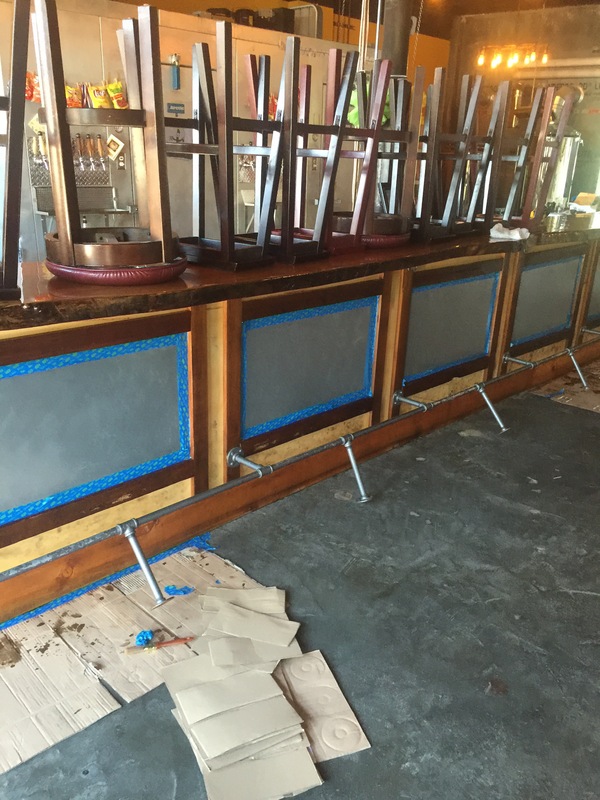 With the inspection this Tuesday, Neil and Kristin set to work sealing the entire bar. 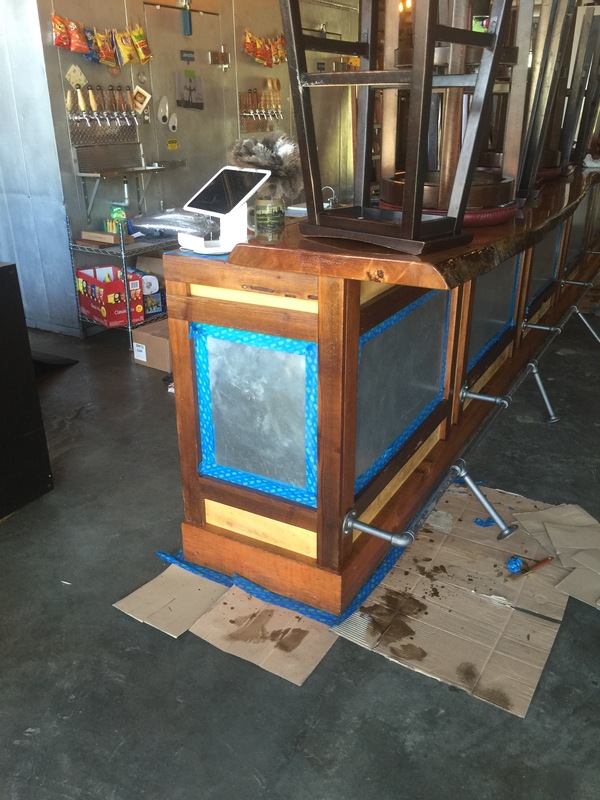 Nothing on the bar is allowed to be bare wood, inside or out. Additionally, our hand wash sink had to be moved several inches forward, a “dump” sink installed by the dishwasher, our tap drip trays plumbed directly to the floor drains (versus catch containers in the cooler), and some additional plumbing changes. On Tuesday we did not get our permit, we are sad to say. Lots of hard work so far, but we aren’t giving up! Neil has a list of additional items for us to complete, and we have high hopes that you will soon be able to enjoy one of our beers in a real glass. 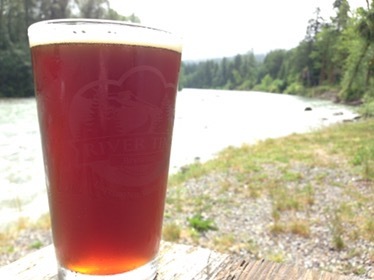 And soon, you will hear more about our Founders, and Mug Clubs!